Discover the magic of Chinese astrology with a coloring book! One of the most empowering astrological system of all times is Chinese astrology and the 12 signs of the Chinese zodiac. People of ancient times who lived in the vast land of China wanted to interpret the connection between planet earth and the suns which surround us. And they gave names and assigned associations to those suns (stars). From these interpretations derived Chinese astrology, the lunisolar calendar, the Yin Yang philosophy and many other arts and sciences. Discover the magic behind the 12 Chinese zodiac signs and have the time of your life with this amazing coloring book (one of our best sellers)! Author lazarosvPosted on 10/23/2016 11/30/2018 Categories Book ArticlesTags 12 animals, Book Articles, china, chinese astrology, chinese signs, chinese zodiac1 Comment on Discover the magic of Chinese astrology with a coloring book! 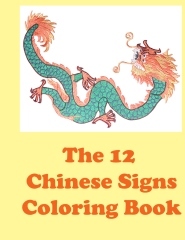 NefretitiM: Today on Literary Links we have the creator of The 12 Chinese Signs coloring book” Tell us Lazaros What inspired you to write these books? NefretitiM: Wow interesting. How did you come up with the title? the 12 animals in the first place. Lazaros: I surf the web looking for new ideas for blank books. Lazaros: Write or create your books one step at a time and be patient because good things take some time but the result is wonderful. Never give up. We had the chance to chat with Lazaros Georgoulas. He owns a publishing company. His website is lazarosblankbooks.com. He creates and publishes problem-solving blank books for all situations. 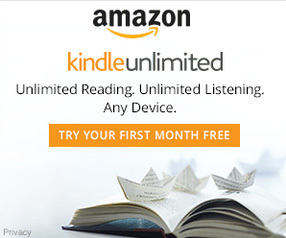 he has a blog and an eStore powered by Amazon’s Createspace platform. 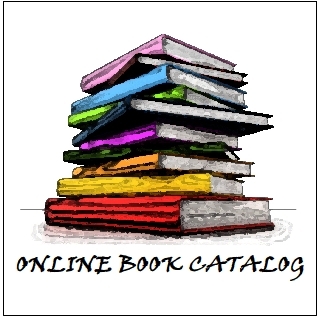 lazarosblankbooks.com sells blank books at affordable prices, for example diaries, organizers, journals, coloring books, notebooks, music books, wedding books, guestbooks, calendars and much more. Lazaros got the idea for blank books from being a publisher of a local newspaper. Lazaros loves publishing. He noticed that people use blank books often whether in their work/office (e.g. an organizer) or at home (e.g. a diary). He also observed that people love to buy items online. When Amazon launched the Createspace website to help publishers, Lazaros immediately felt he should tap into the blank books market. lazarosblankbooks.com creates all sorts of blank books for different occasions like coloring books for children of all ages, calendars, journals and general notebooks for people who love to write, recipe books, magic spell books, wedding guestbooks and hotel guestbooks, contact/phone books, photo books and many more. The store constantly tries to come up with new blank book ideas for our customers. The store’s best seller so far is the Cocktails and Drinks Organizer, a blank book that allows you to store cocktails and drinks recipes. 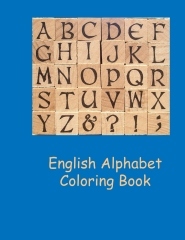 People also seem to like the coloring books as they are somewhat different, for example the Chinese zodiac coloring book, Western zodiac coloring book, the Greek alphabet coloring book and the Roman Numerals Coloring Book. Lazaros’ Blank Books also offers password managers and contact books to help organize sensitive/important information. Another one of his creations is the Book of Wishes, a book to help gather all your wishes and visualize them coming true. Moreover, the store has semi-blank books like the Relaxation Notebook which describes top relaxation techniques or the Meditation Notebook which helps people easily perform meditation sessions. Please visit lazarosblankbooks.com (and of course the eStore) for all the details. We recently published “The Relaxation Notebook“. This semi-blank book describes powerful relaxation techniques that will help you get rid of stress and anxiety once and for all. In the book there’s plenty of space for note-keeping. Before the age of the internet many people kept a personal diary or journal. That was the best way to record what was happening during the day, write observations, goals, dreams etc. By using a diary, people created a personal side of the world’s history.